MOLA’s role as Design Archaeologists drew on cross-disciplinary expertise to suggest alterations to the route, resulting in minimal archaeological requirements and delivering significant savings. MOLA Northampton was appointed to provide archaeological consultancy and services to NCC Highways for the £32million construction scheme for a 6km road link. 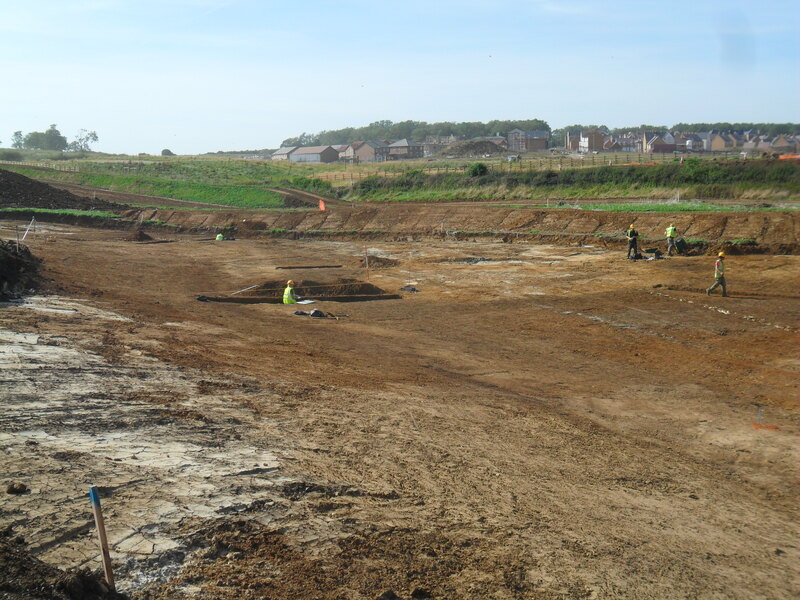 Following early detailed desk-based assessments identifying several areas of archaeological interest, MOLA negotiated a scheme of evaluation with the planning authority and 36 landowners for geophysical survey and trial trenching. This fieldwork confirmed 6 known sites and identified a late Iron Age enclosure. Subsequently, MOLA advised the client to move the position of the road by 8m to avoid the two most significant archaeological sites. A revised route was approved, conditional on a further stage of evaluation which demonstrated the absence of further sites. By collecting extensive high quality data of the entire route, MOLA was able to negotiate a much lower requirement for mitigation by reducing the area of archaeology under threat. In addition, part of the mitigation was conducted as a local community excavation, profiled by NCC for their website. MOLA delivered a c. £2.0 million saving compared to the previous road scheme and well in advance of the arrival of the Principal Contractor, so that minimal archaeological requirements remained. Each stage of work was completed immediately following harvest, to reduce compensation costs from farmers. Post-excavation analysis and journal publication is currently being completed and will be ready in time for the opening ceremony.